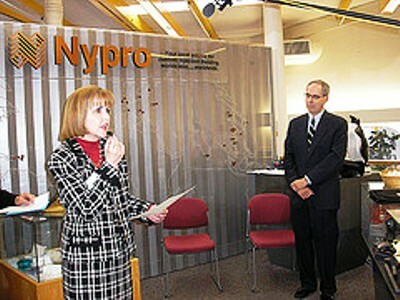 Nypro all sets to expand its arms in Ireland. According to the latest news from European plastic industry the US-based custom injection moulder Nypro, all set to expand its health-care manufacturing operations in Ireland. While speaking to media personnel and industry experts the spokesperson for Nypro operation in Bray, Ireland Al Cotton said that the facilitity is going to be one of the major centers for their European health care business. Meanwhile industry experts and professionals have overwhelmingly welcomed the move and said that new facility will not only help the Nypro but will also have a positive impact on the region and the whole industry. Adding further he said that the new facility will help the company do business efficiently with various clients and stakeholders. The move will help us offer better service to various healthcare units. It is important to underline here that The Bray facility is the major Nypro business in Europe and its oldest, dating to 1980. Asides efficient services the expansion will involve capital expenditures for clean room facilities and equipment such as injection moulding presses however the details about the costing and other financial matters were not revealed by the spokesperson. The new facility that is going to be initiated will not only ensure quality product but will also create job opportunities in the concerned sector. According to reports the new facility will be adding 100 new jobs to bring Nypro employment in Ireland to 460. While talking to news spokesperson Cotton said most new jobs likely will be added a year or more down the road since there is a time lag during which Nypro will need to obtain qualifications on health-care products. Industry experts and professionals are of the opinion that the move will also add Ireland’s reputation of being a perfect destination for investors and businessmen who are willing to invest in the life-science sector in the region. The move is also being backed by Irish Government where Irish Prime Minister Enda Kenny said in a Dec. 7 news release issued by the Irish government that the expansion also will be supported by economic development agency IDA Ireland. However, there are many constraints that are lying on the way and only the time will tell what impact doesit bring to the overall plastic and pharma industry in the Europe. However, the prevailing perception is that the move will certainly help industry grow and flourish.